Discovery of a novel way to organize the eukaryotic interphase nucleus. In animals, a structural network of lamins, the nuclear lamina, positions the nuclear pores in the nuclear envelope and organizes the chromosomes. Fungi do not have such a lamina, and we were the first to show that directed transport of nuclear pores, mediated by motors and the cytoskeleton, evenly distributes the nuclear pores and organizes associated chromosomes (Steinberg et al. 2012, J. Cell Biol., accepted*). Defects in nuclear pore motility results in pore clustering and impaired nucleocytoplasmic protein transport. Motility of pores was demonstrated in U. maydis, A. nidulans and S. cerevisiae, showing that fungi overcome the need of a structural nuclear lamina by active motility of the nuclear pore complexes. Identification of the first fungal organelle transporters. We identified conventional kinesin motor proteins in Neurospora crassa (Steinberg and Schliwa 1995, Mol Biol Cell 6:1605*; Steinberg and Schliwa 1996, J. Biol. Chem. 271:7516*) and later described it in a zygomyete fungus and the basidiomycete U. maydis (Steinberg 1997, Eur. J Cell Biol. 73:124*; Steinberg et al., 1998, J. Cell Sci. 111:2235*). G.S. was corresponding author on 2 of 3 papers derived from my PhD work. This work founded research on the structural organization of fungal kinesin-1 (e.g. Hirose et al., 2000, EMBO J 19:5308; Lakämper et al., 2003, Biophys J. 84:1833). Demonstration of the existence of fungal endocytosis. With other and with others (Hoffmann and Mendgen, 1998, Fungal Genet Biol, 24:77), we provided the first evidence for endocytosis in filamentous fungi (Steinberg et al., 1998, J. Cell Sci. 111:2235*) and showed its role in fungal morphogenesis. Subsequently, we were the first to identify motile early endosomes and determine their role in fungal growth (Wedlich-Söldner et al., 2000, EMBO J 19:1974*) and pathogenicity (Fuchs et al., 2006, Plant Cell 18:2006*). At this time the existence of endocytosis was controversial (e.g. Read and Kalkman, 2003, Fungal Genet Biol 39:199). By contrast today this is a buoyant topic of fungal research (see Penalva, 2010, Curr Opin Microbiol 13:684). First description of kinesin-3 in fungi. We showed for the first time that fungal cells, like polarised neurons, possess the kinesin-3 motor (Wedlich-Söldner et al., 2002, EMBO J 21:2946*) and this supports long-range endosome motility (Lenz et al., 2006, EMBO J 25:2275*). This discovery was subsequently confirmed in other fungal species (for example Zekert and Fischer, 2009, Mol Biol Cell. 20:673). We also found that kinesin-3 uses anti-polar microtubule bundles to mediate anterograde and retrograde motility of early endoosomes (Schuster et al., 2011, Mol Biol Cell, 22:3645*). Determination of the mechanism by which dynein interacts with early endosomes. We described a role for microtubule plus-ends in the loading of cargo (Lenz et al., 2006, EMBO J 25:2275*), subsequently confirmed in other fungal species (Abenza et al., 2009, Traffic 10:57). We then performed quantitative in vivo analysis of motors and pioneered development of resilient mathematical models to describe their behaviour (Schuster et al., 2011, EMBO J, 30:652*; Schuster et al., 2011, Proc Natl Acad Sci USA, 108:3618*; Ashwin et al., 2010, Phys Re. E 82:051907*; Lin et al., 2011, J Stat Mech, P09027*). First description of co-operation of actin-based and microtubule-based transport systems. We showed that myosin V motors are essential for hyphal growth and pathogenicity (Weber et al., 2003, Plant Cell, 15:2826*) and cooperate with kinesin 1/3 in hyphal growth (Schuchardt et al., 2005, Mol Biol Cell, 16:5191*), a result recently confirmed in other fungi (Zhang et al., 2011, PlosOne, 6:e28575). We then demonstrated how myosin XVII, myosin V, kinesin-1 and dynein mediate secretion (Schuster et al., 2011, EMBO J, 31:214*). This is a significant step towards a systems-level view of how a fungal cell operates; no comparable other study exists to-date. First description of why fungal myosin XVII is necessary for fungal pathogenicity. 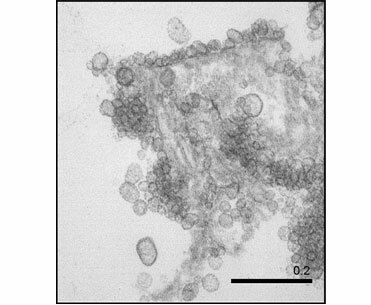 We showed that fungal myosin XVII tethers secretory vesicles (Schuster et al., 2011, EMBO J, 31:214*). This fungal-specific pathway is essential to circumvent plant defence (Treitschke et al., 2010, Plant Cell, 22:2476*). This is the first explanation for the importance of myosin XVII in fungal growth and pathogenicity. First report of a role for dynein in organizing the fungal microtubule array. We were first to show that microtubules and cytoplasmic microtubule organising centres are motile in fungi and that dynein is the underlying motor (Steinberg et al., J. Cell Sci, 114:609*; Fink &Steinberg, 2006, Mol Biol Cell, 17:3242*). This process is reminiscent of microtubule motility in axons, and no comparable report exists in any other filamentous fungus. First report of the dynamics of an 'open fungal mitosis'. We reported that dynein ruptures the nuclear envelope and nuclear pores disassemble during 'nuclear envelope breakdown' (Straube et al., EMBO J, 24:1674*; Theisen et al., Mol Biol Cell, 19:1230*). This discovery showed that 'closed mitosis' is not a universal characteristic of fungi, as previously thought. Fungi pose a greater threat to plant and animal biodiversity, and as plant and human pathogens they are a serious challenge to our food security and health (Fisher et al., 2012, Nature, 484:186; see more details). Agricultural and biomedical industry is constantly seeking new ways of controlling fungal diseases. Our knowledge of fungal cell biology and the mechanism of fungal invasive growth has led to numerous collaborations and consultancy projects with industrial partners. In addition, we teamed up with the Carl Zeiss GmbH on innovative life cell imaging. Figure 1: Transfersome® vesicles attacking fungal cells. Our studies have shown that the ultra-deformable vesicles efficiently carry drugs through the cell wall of fungi and are broken up by fungal lipases, thereby releasing their cytotoxic content (Steinberg, 2012; download the 1.1MB PDF). Bar represents micrometers.